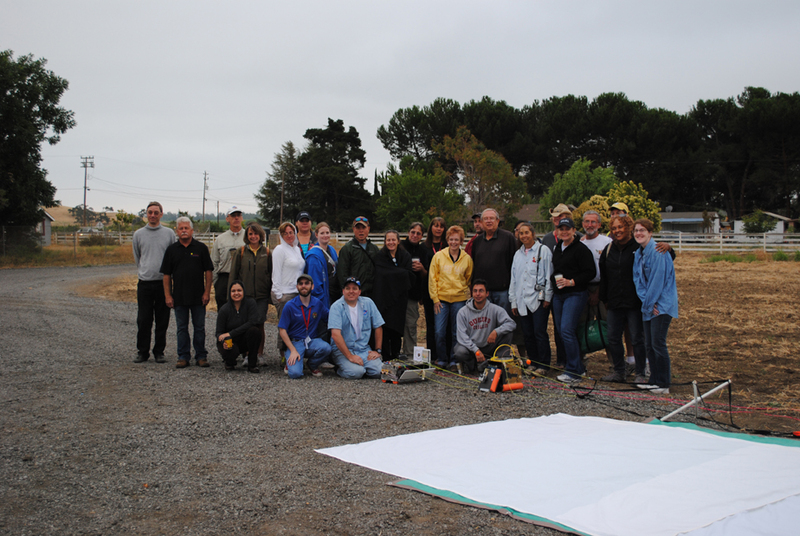 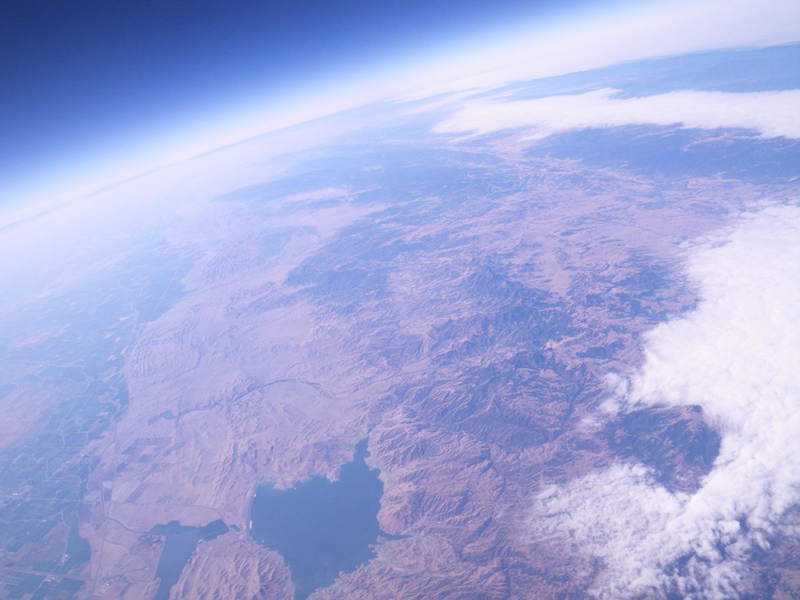 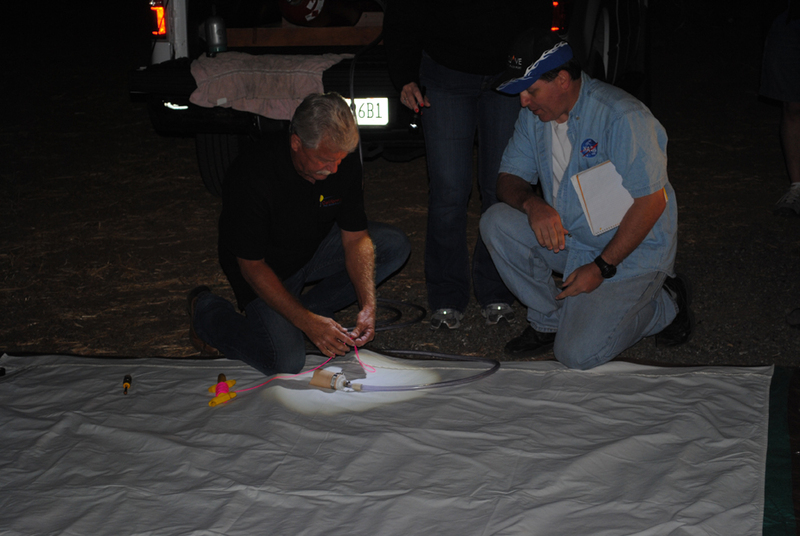 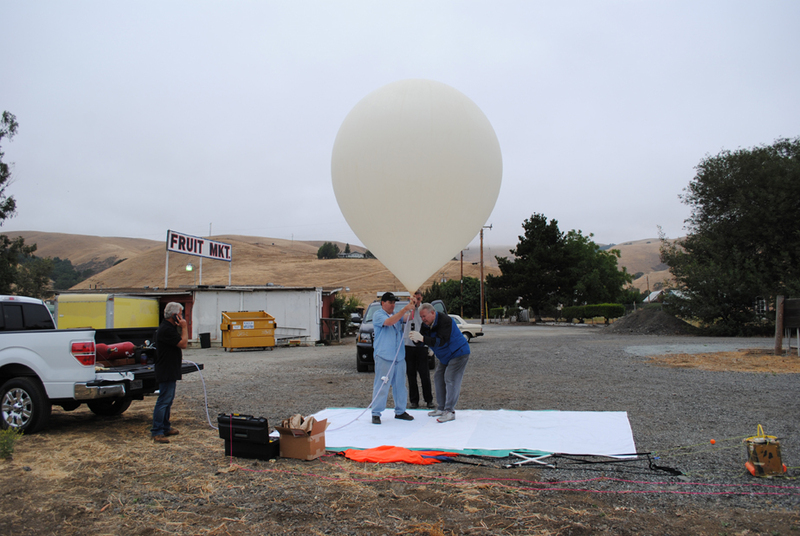 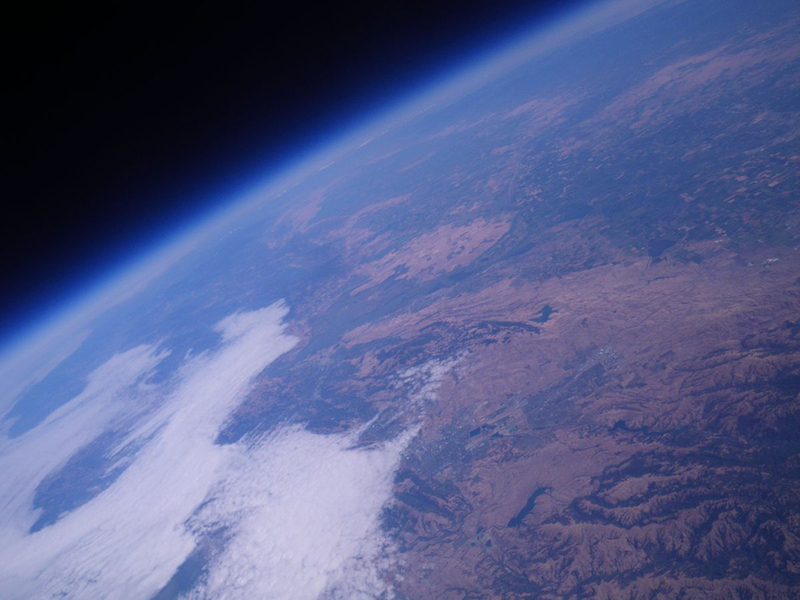 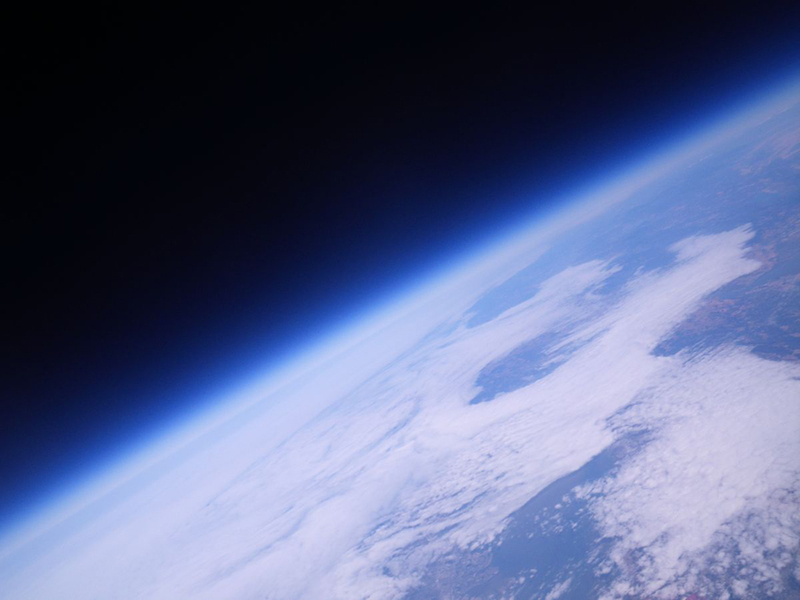 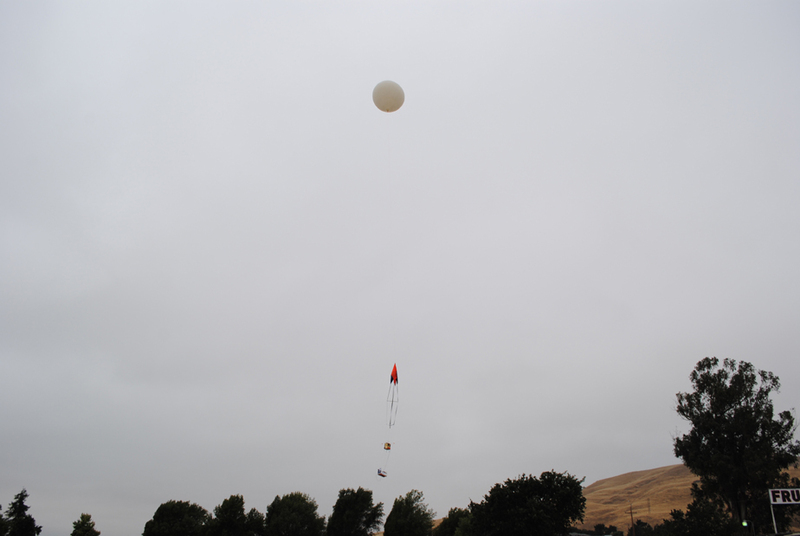 NASA Ames in CA had high school science teachers fly in from all over the US, building balloon payloads to fly on Friday 7/27 for the teachers in space program. 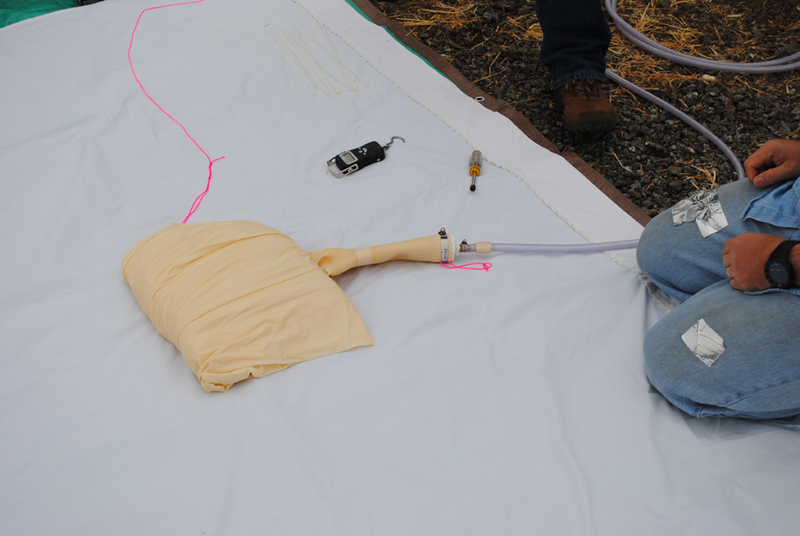 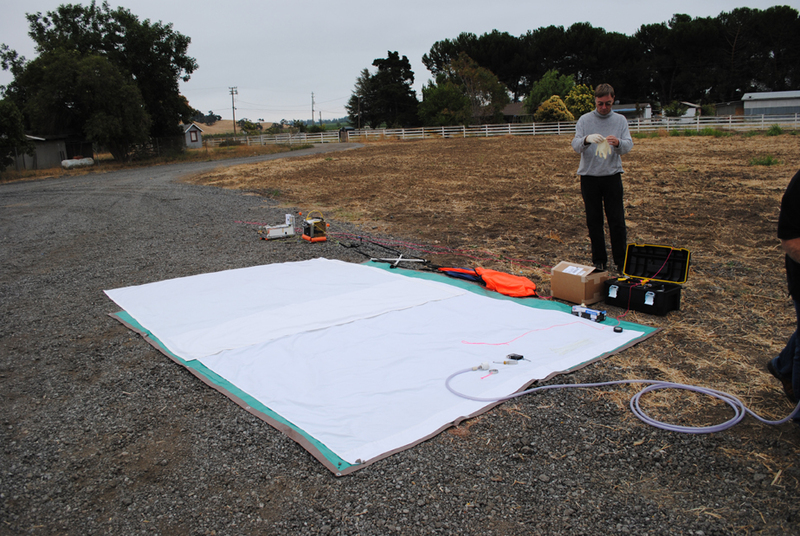 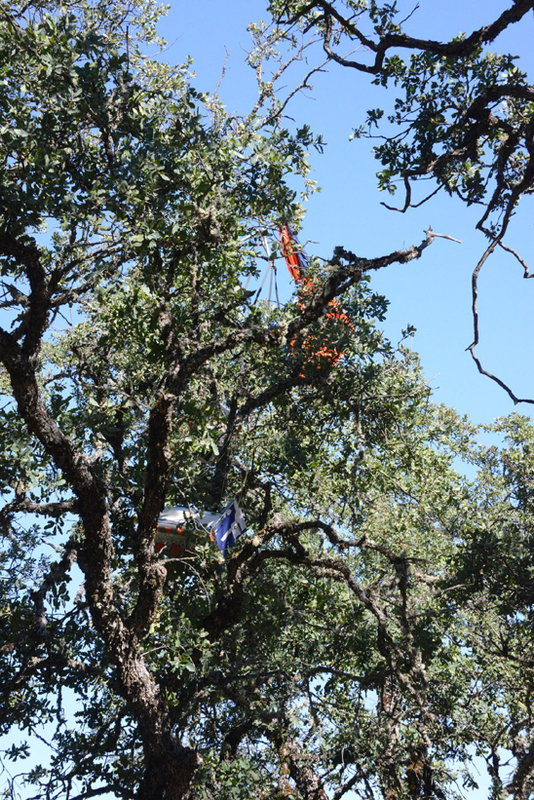 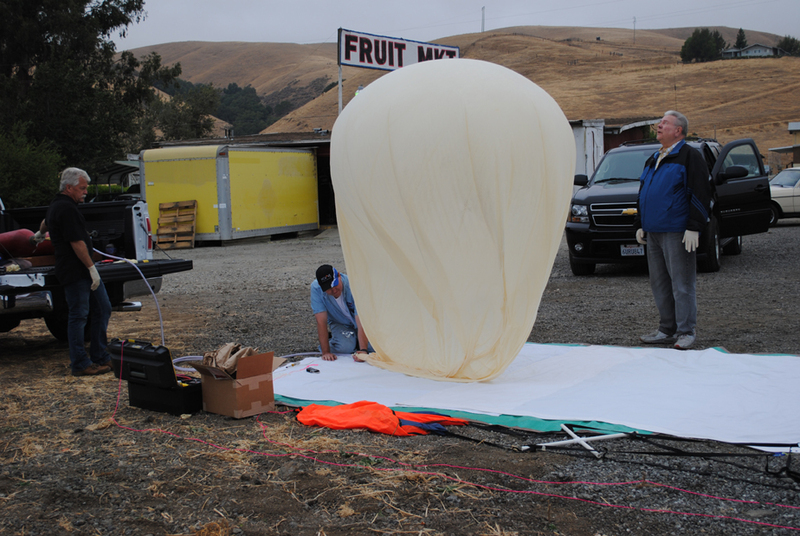 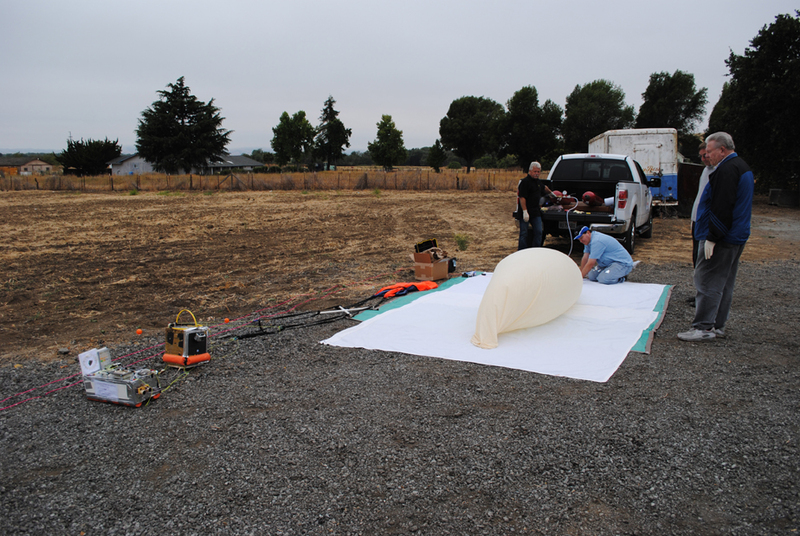 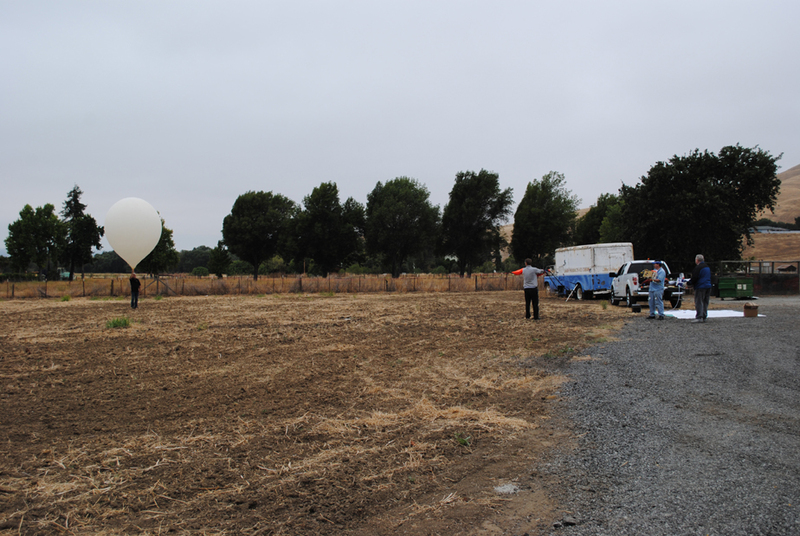 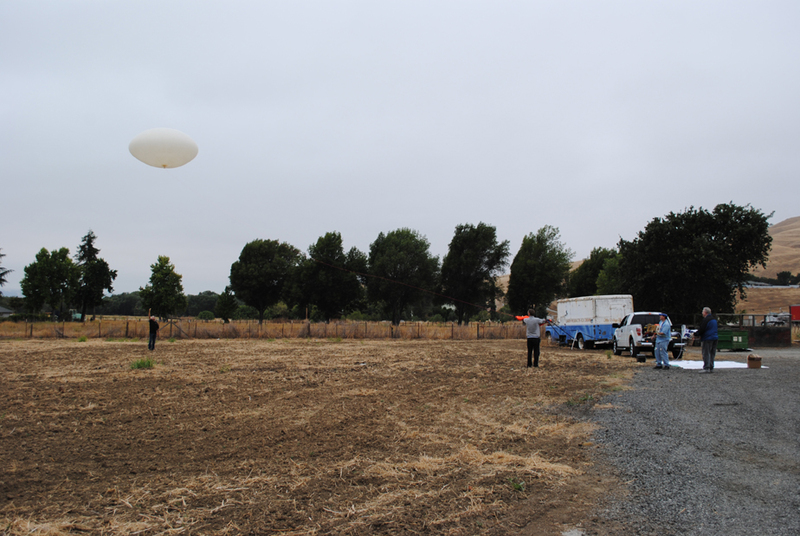 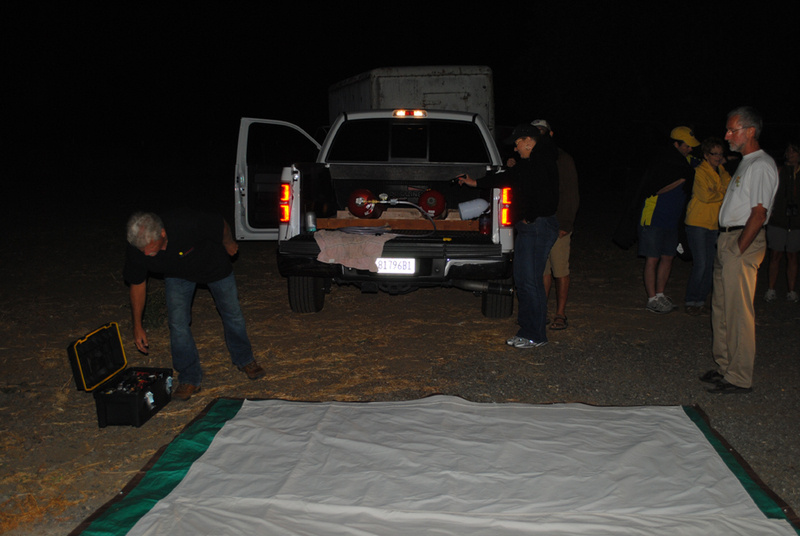 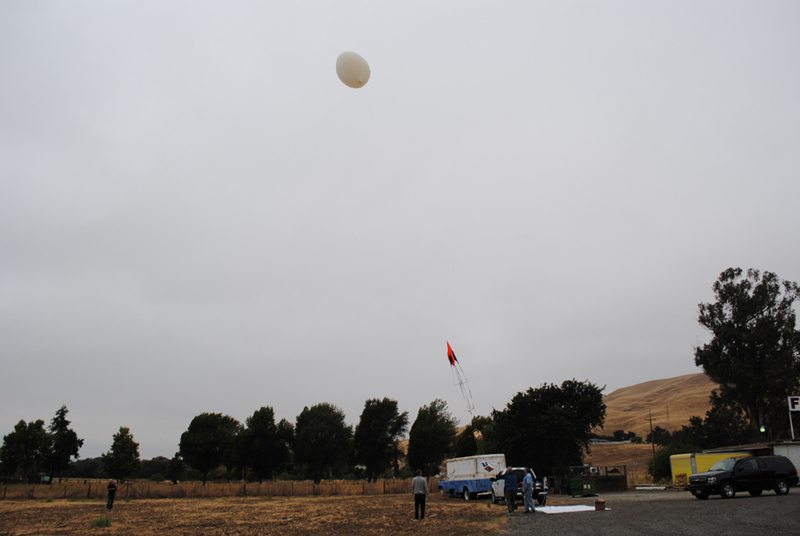 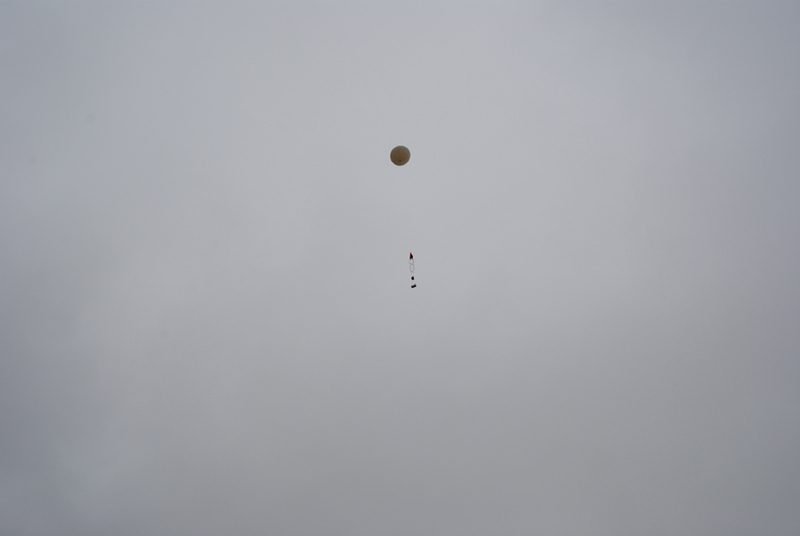 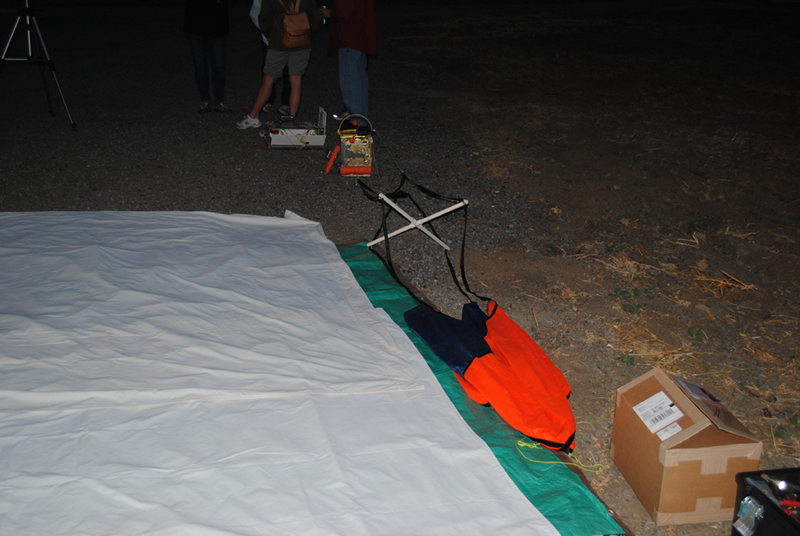 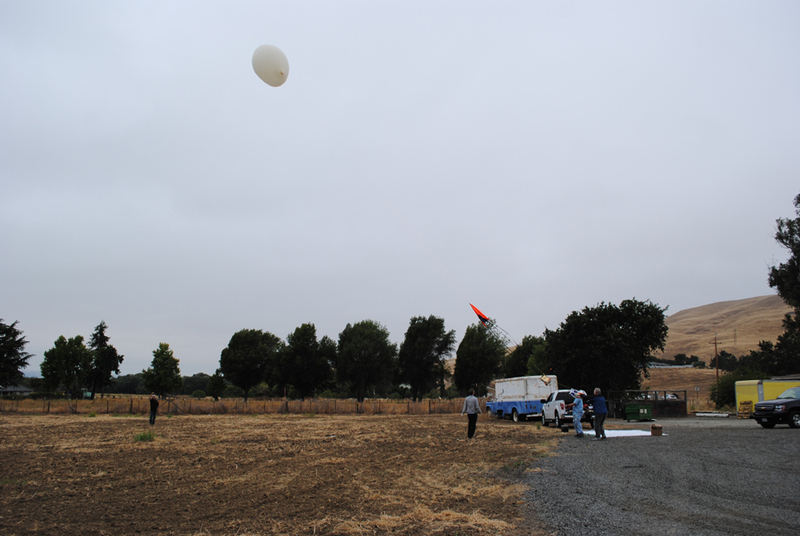 CNSP set up for a launch at 6 a.m. (PST), and supplied two tanks of H2 for the 3000g Totex carrying two 6 pound payloads. 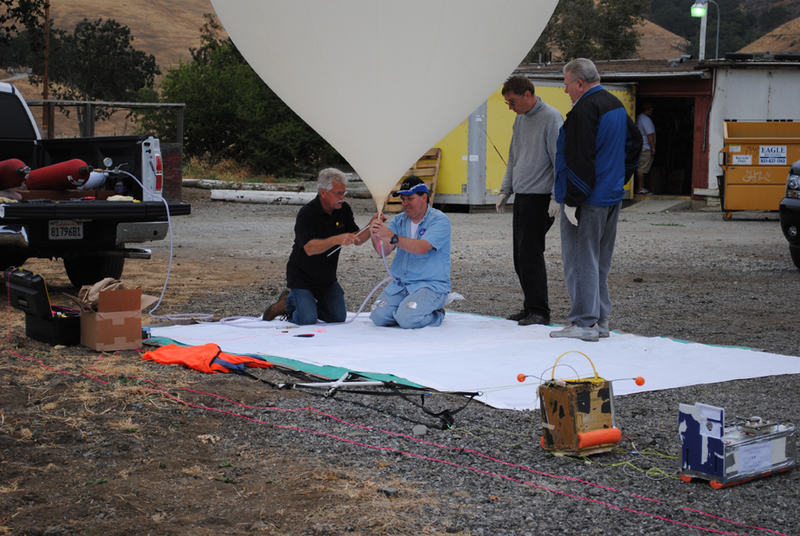 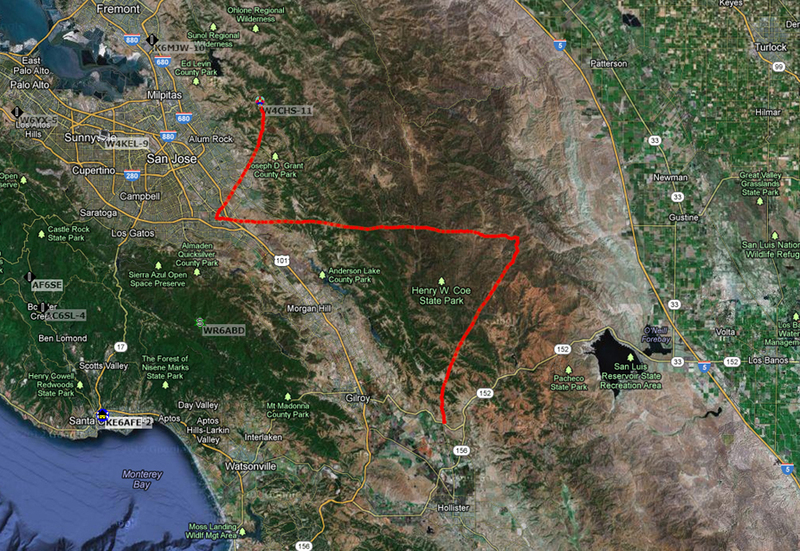 The flights APRS call is W4CHS-11. 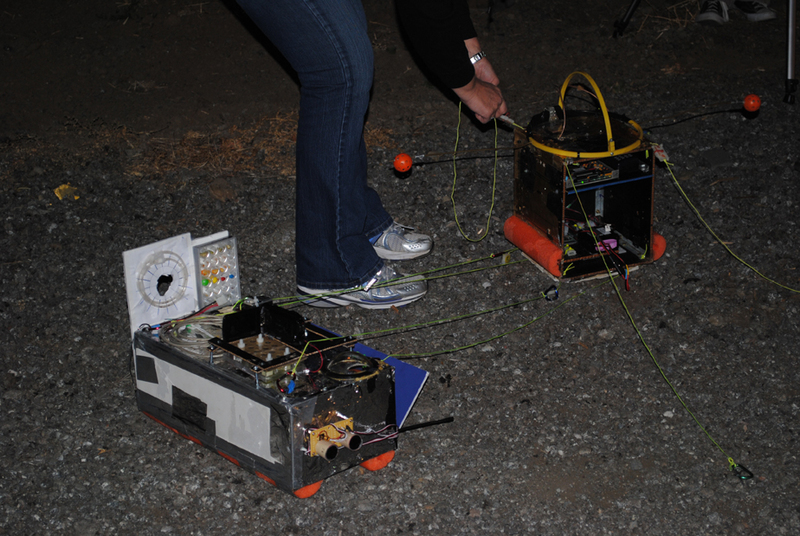 Some of the payload projects are Insect Survivability, Effects on Photosynthesis Abilities of Algae Due to Space UV Exposure, Three Axis Accelerometer and GPS data logger, Three Axis Magnetometer, Environmental Data: Pressure, Relative Humidity, Temperature inside, Temperature outside, IR and UV light Altitude Profile, Radiation Altitude profile, Cameras and Video.